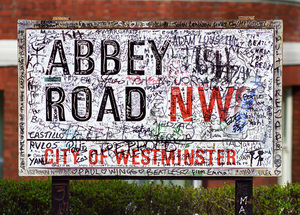 Abbey Road Studios opens its doors in March for a once in a life time chance to see the workings of the legendary Studio Two, where iconic albums by The Beatles and Pink Floyd were recorded. Visitors will receive unique access to archived photos and unheard recordings before attending a talk by the authors of the book Recording The Beatles, which explores the sonic creativity of landmark recordings as part of the studio’s 80 year anniversary celebrations. Original vintage recording equipment used to produce seminal acts like Kate Bush and Oasis will be on display, and possibly the very microphones John Lennon sang into. For the rock aficionado this is seeing the big bang of modern music, which only rock gods usually get to experience. Brian Kehew and Kevin Ryan, authors of Recording The Beatles, have put the tour talk together especially for Abbey Road’s anniversary celebrations, the accumulation of over 20 years into EMI’s history, to address the different genre’s recording methods and the studio’s impact on rock and classical. Film buffs are accommodated too as Studio Two was used to record the soundtrack to modern epics, Star Wars, Lord of the Ring and Harry Potter. It’s still a working studio where Elbow recorded their theme to the 2012 Olympics, securing Abbey Road’s London Legacy. You could also walk across the Abbey Road zebra crossing on your way there if you wanted to act like a tourist. Or just watch it from this nifty web-cam.